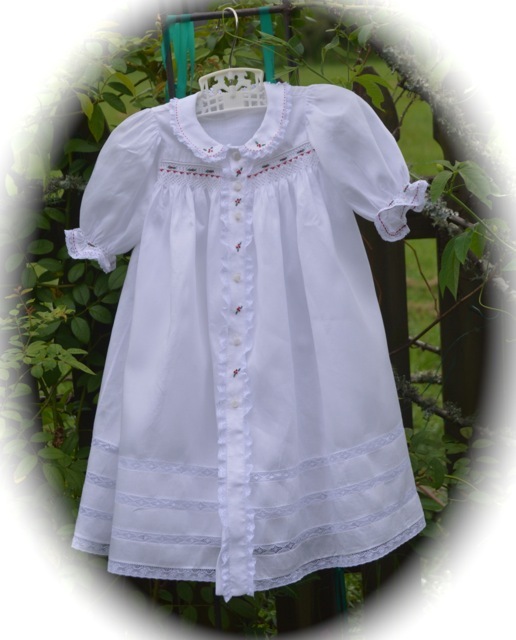 "Baby will be well and smiling in little garments made by Mother, Auntie, Grannie and loving friends!" 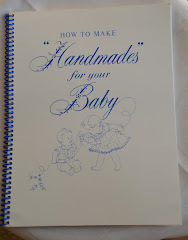 Please join me as I teach the old fashioned techniques and skills needed to sew baby clothes. You will find lessons that start at the very beginning and take you step by step as we sew little baby clothes together. May you find much joy and pleasure in making them. It's easy and it's fun!! Follow your embroidery instructions on your pattern and refer to your embroidery design. 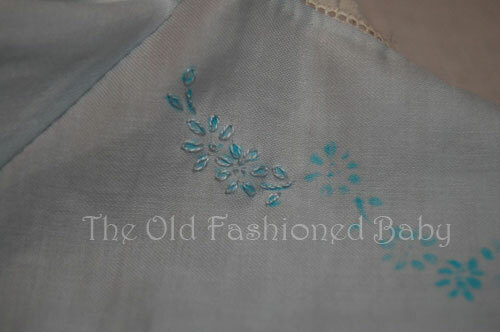 We are going to Embroider View 2 of OFB Embroidered Raglan Daygowns. Good Morning!! Today we will stitch the Embroidery. You can embroider the top only or the top and the hem design. You will need either 10 Sharp or Crewel needles. And your embroidery floss. Use one strand of embroidery floss. I am stitching tone on tone. I think the look is elegant. It does not show up as much as would a color that is different than your fabric. You might decide to use a different color. If you are a beginner, tone on tone doesn't show up your mistakes as much! This is all a personal decision (the hardest part). Sometime I really am not sure until I start embroidering with a certain color, so you might want to start on a fabric scrap to see how you like it. I don't use a hoop on any of the embroidery stitches we are working today. If you like to use a hoop , that is fine to do. However, you need to work your project a little differently. You would need to draw your pattern onto your fabric (along with your embroidery design) in the beginning instead of cutting it out. You would need to do this so you can have the room on the fabric for the hoop. So today, since we are all cut out, you will have to be hoopless like me! There are many ways to tie on to the fabric but we are going to use the Away Waste Knot . 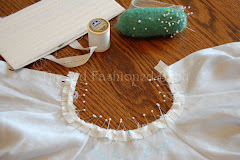 Click Away Waste Knot to see how to Tie onto your fabric and also to tie off. Ready to Embroider! I am going to begin at the left side of my top embroidery design and work my way to the right. The stitches used in this design are the Lazy Daisy stitch (the flowers and leaves), the Stem/Outline stitch (all the stems) and the French Knot (the flower centers and the dots at the hem. For instructions, click onto Embroidery - French Knot and Lazy Daisy and Embroidery - Stem/Outline stitch. Question for Lesson Five: Do you use a thimble to stitch? If not, please try one! It makes stitching faster!! Stitch a little while and then join me for a very nice tea! Buttermilk Pound Cake with Coffee ice cream. English Breakfast tea to revive you after all that stitching! Said, "Really, it is time for tea!" And wandered on along the shore. They sat down in a shady spot. I see you have the lace sewn on in your sample. Did I miss this? I thought last week said we were waiting. Maybe I need to pay closer attention!!! What I can't get used to is a finger shield...they don't fit me like I think they should. I keep trying though, because I am tired of my pricked finger!! ouch. Hope your day is wonderful...See you soon!! I was scurrying to catch up on the lessons since I was so late starting and had already begun embroidering back on Lesson Two--didn't read the step about not doing the embroidery....feels good to be up with everyone now and actually right on. When I pick my grandson up in the afternoons after school I work a couple of flowers. Helps to pass the time more quickly and not be a total waste of time. Answer to Aunt Honey: No lace yet. It is the nicked seam allowance of the entredeux that you are noticing. As to using a thimble, it depends on the project. Hand-quilting I always use one. On heavy fabrics - yes. On most cottons - no. When I do use one it's one that wraps around my finger from the side as that's where I tend to push the needle thru the fabric. This is the only one that is comfortable on my finger. It's made out of leather and underneath has little piece of plastic wrapped around the leather. 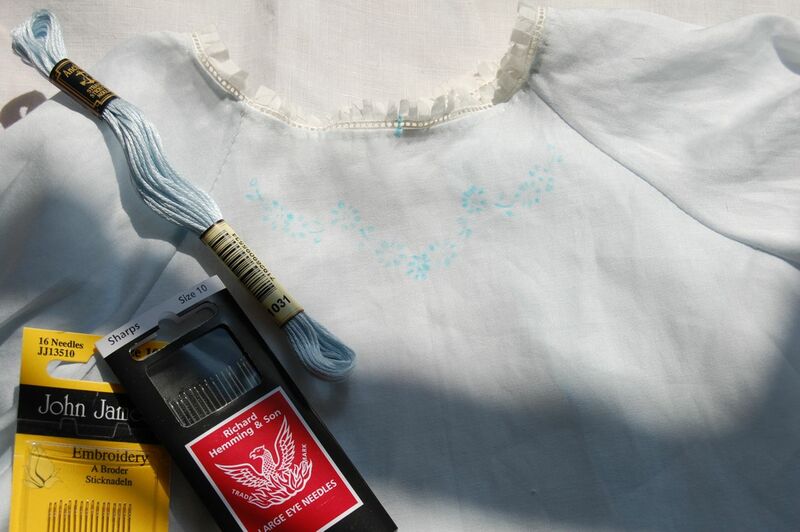 I'm so happy to finally get to the embroidery, that's my favorite right behind hand-smocking. I do not use a thimble. Never really tried... I will take a piece of that cake though. Cannot seem to make one up here where the air is thin. It is the one cake I like the best as well. I don't use a thimble...have never found one I could get comfortable with. Many pricked fingers as a result - ouch! Thanks for the cake and ice cream! Thanks for pointing out that's not lace. I guess I've been paying attenion, I just can't see well! I only use a thimble if I'm hand quilting -- then I use a leather thimble that fits over the entire finger. I find it hard to use a thimble when I'm doing hand embroidery, though I remember my grandmother using hers! Like Chris I can't get used to a thimble--wish I could. They just have never been comfortable. I have a collection of a few and occasionally try again. I have never used a thimble but I do have a couple. Just for you I will try it! The cake looks yummy and I love breakfast tea! I have tried some in a few of the classes I have taken. Generally, I don't use one. Yay-the embroidery! I will be doing my embroidery using the palest peach on my white day gown. It seems that each of my granddaughters has had a special color and this little one due in a month will have the color peach. I do not use a thimble. But I do have a question as I would love to try it-how do you fit a thimble? and where do you find them? I assume that I won't find a nice thimble at a chain fabric store. I have tried some in a few of the classes I've taken. Generally, I do not use one. I have yet to find a thimble I'm comfortable using, so my collection of thimbles just grows & collects dust. I guess it's a matter of being able to feel where I'm stitching ~ a bit like my preference to sew at the sewing machine while barefoot! But,I always wear shoes to tea! ;} Thanks for another lovely table set with treats! Hi! I don't use a thimble. I've tried but it just never 'felt right'. I have always used a thimble and just can't seem to sew without one. My great grandmother taught me to sew, followed by my grandmother and mother...then my aunt stepped into the picture and they all used a thimble...so I guess I was just destined to use one. 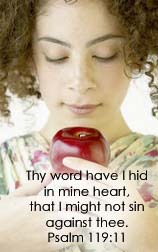 Now I am teaching my grand daughters...ages 5,9 and 10. They all use a thimble and have been known to carry them home unknowningly on their small fingers...so we usually do a "thimble" check as they walk out the door. 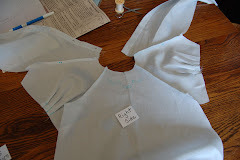 :O) I am enjoying this sew along and anxious to see finished garments. I never use a thimble, but would be interested in starting to use one if it really makes sewing go faster and would prevent me from making holes in my fingers. Would you give all of us some guide lines on how to decide which kind to look for and purchase? Also which finger do you use it on, the middle or ring finger? 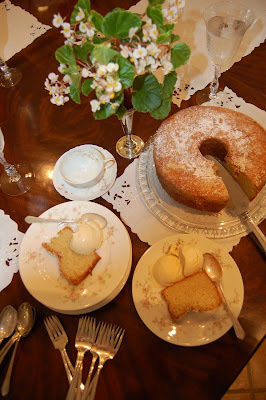 The most important question I have for you today is I would like to know if you would share your buttermilk pound cake recipe?!?! Have a FABULOUS weekend!! And....Thank YOU for ALL you do for all of us!!! I usually use a thimble when hand-sewing. It makes my life much easier. I think I'll do the blue embroidery after all--I was thinking of doing it in white. Looking forward to having fun with that this week! I always think I should use a thimble but find it gets in the way except for hand quilting when I need it for protection. Looking forward to the embroidery since I struggled with a too-small neck for a bit last week! I almost always use a thimble when hand sewing. My favorite is a metal thimble I got at age 14 for my first home ec class. It just fits the middle finger on my right hand--the size is exactly between being loose enough to fall off and tight enough to squeeze my finger. Should a daygown always be worn with a slip or does it depend on the fabric? With a lightweight batiste, I would use the same fabric for a slip--but what about the heavier satin batiste we are using? Answer to Rebecca: I think Daygowns should be worn with a slip. The slip is like an undergarment and the Daygown always looks nicer with a slip. The Satin Batiste fabric is not too heavy for a winter baby but a batiste or lawn will make a very nice slip. The color of the slip can match the Daygown or be white. The Blue Satin Batiste that I had in stock is gone and is replaced with a different dye lot. It is pretty but not the same blue. I do handstitch and embroider with a thimble, although not 100% of the time. When I do, I usually reach for my leather one that fits really well. I do have a couple of nice [traditional style] metal thimbles - including one that was my grandmother's - that I would like to start using, but need to get accustomed to using that style. And I definitely use the finger shield for granitos, pinstitch and the like. My grandmother taught me to embroider many years ago and would not allow me to stitch without a thimble. I put it on my finger even before threading a needle. Jeannie...I do use a thimble. I have always had a fascination with thimbles and still tend to buy them if I ever see them in shops. I really only have one that fits well though and I use it all the time for hand stitching. I use a really ugly leather thimble with a slit for my nail because it is the only kind I find comfortable. I use it inconsistently but am trying to remember to have it handy because my stitching is nicer when I use it (probably because my finger isn't sore from pushing on the needle!). Yay! I'm finally all caught up and ready to start my embroidery. I *always* use a thimble--can't even thread the needle without having it on, lol! 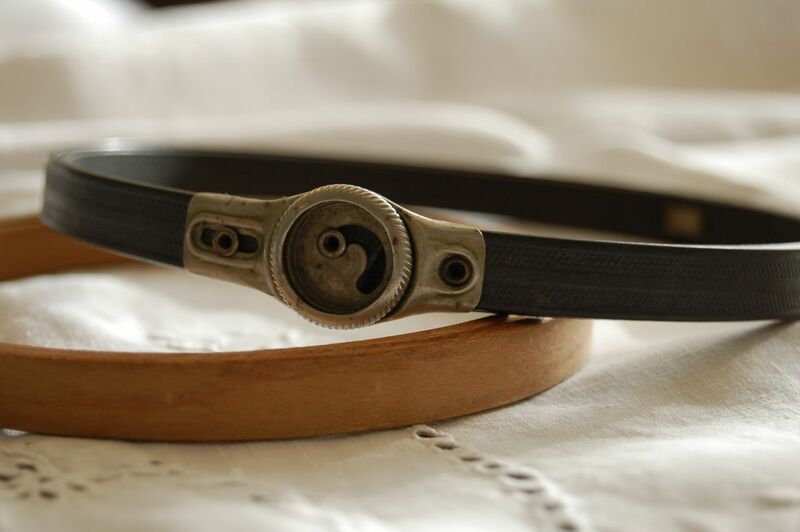 The other one has a Delft enamel band, and also has a sentimental history. I treasure it as much as the grandma one. I'm late to the party this week, because we've been getting ready for back to school. I will look forward to doing my embroidery later this week when the house is (semi) quiet! I have only used a thimble for hand-quilting which I am not very experienced with. I will try it, but I usually prefer to have bare hands to get the best control of the needle. 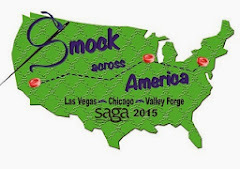 Thanks again for all the information you have shared on this sew-along. It's sew much fun!! Yes, I use a thimble...Sometimes more than one.lol. I know that I am coming to this late, but I am wondering if the Raglan Daygown kit would be a good beginner heirloom project for me? I am a beginner to heirloom techniques, but have been sewing for years, mostly quilting. Answer: I hope my Thimble post answered the thimble questions! And yes, Ashley, this is a great beginner project. I never use a thimble. My mother was aghast when I wouldn't - just couldn't get used to it. After reading your post, I may try again! I don't use a thimble but I'm going to try. I have two that were my grandmother's. They're over 125 years old. Sorry I'm late. I do not use a thimble - it feels awkward. I tried a thimble since you suggested it. But it feels awkward, and I don't really seem to need it. . . 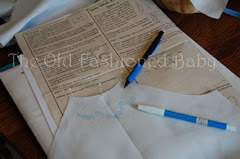 Teaching For "It's Sew Heavenly"
The Old Fashioned Baby Facebook! 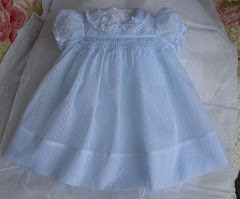 I love babies, embroidery and old fashioned Baby Clothes!! 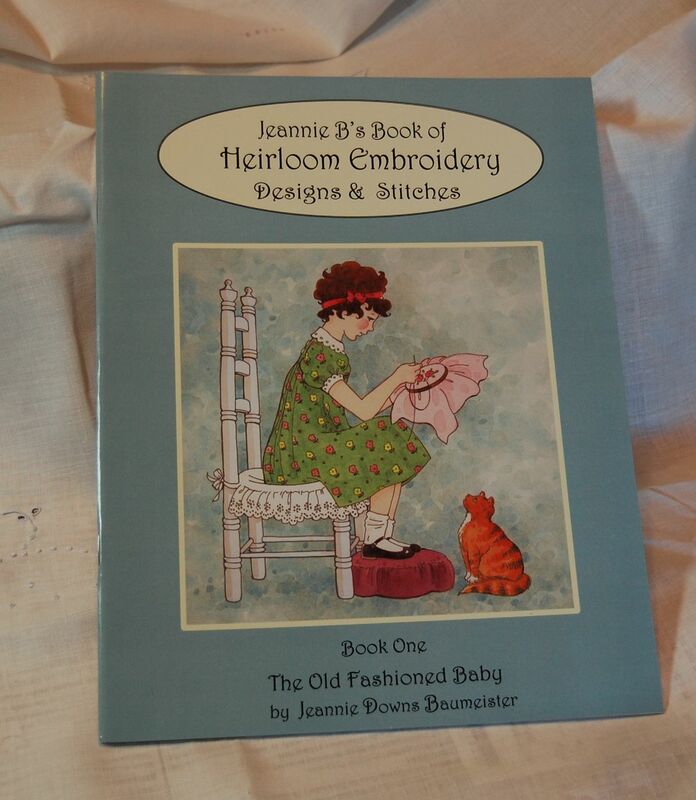 I am the designer for the pattern line "The Old Fashioned Baby". 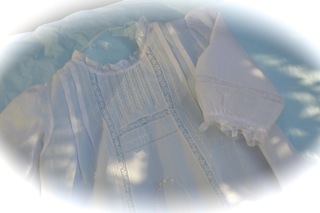 My designs reflect my interest in vintage infant's and children's clothing, as do my classes, many of which include techniques and embellishments used from the late 1800's to the 1950's. 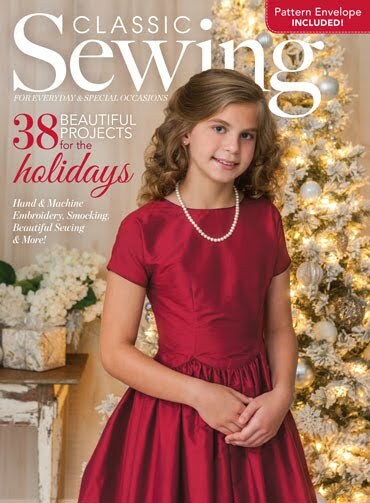 I teach these techniques around the United States and publish some of my designs and ideas in Classic Sewing magazine. And I love Roses and all the flowers in My Garden (and yours too, probably). All rights reserved, no part of this site may be reproduced in any form with out the express written permission from Jeannie. The images, content and text, are the property of the author. 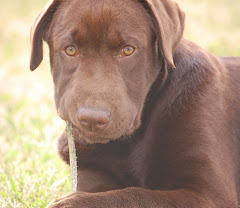 I am happy for you to link to this site and post excerpts that link to this site, giving The Old Fashioned Baby appropriate credit for content and images! February Newsletter just posted with GREAT Fabric Finds!!! The Fancy Blog is Moving! Elegant Silver and Pink Silk Smocked Dress! To My Customers . 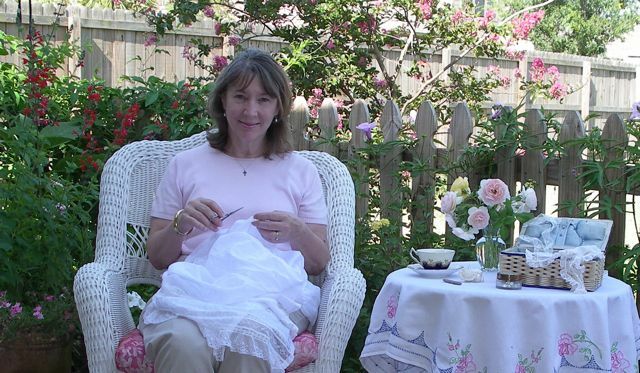 . .
Jeannie, sewing in her garden.